Your task is to make a mental note of which rectangles change. In order to advance to a higher level, you must choose the same rectangles that the computer did. Bad memory game: does this game really reflect how we remember things in real life? Here’s the link. You’ll need to scroll down the page. 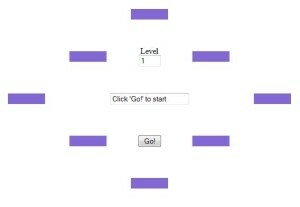 http://www.brainmetrix.com/memory-test Give the memory game a try, see how far you get, and then come back to finish reading this post. I don’t know about you, but I was getting a little stressed out trying to remember the pattern as the task became more difficult with each succeeding level. Here’s why I think this is a bad memory game. If you’ve been reading my blog posts, you’ll have read about the use of memory systems such as the method of loci (also known as the Roman Room or Memory Palace), linking, vivid imagery, creating stories, and more. What I found frustrating in this particular game was that there didn’t seem to be a system that I could apply to the swiftly flashing pattern to help me remember it. Research has shown that people remember things or circumstances more easily if the situation or item possesses unusual and very vivid characteristics (e.g. size, color), is linked to something else, and involves movement. 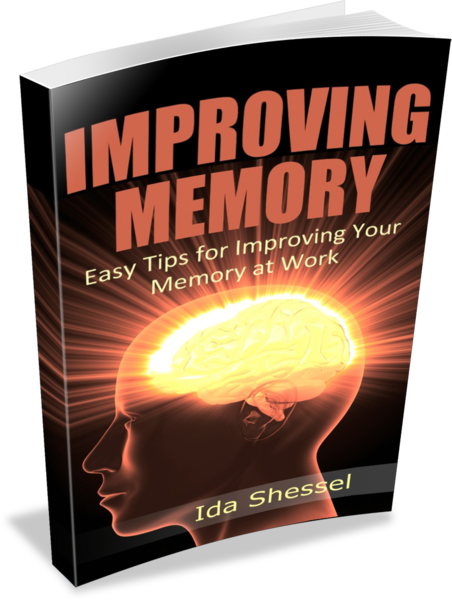 In addition, if the situation or item elicits some sort of emotion from you, all the better for remembering. Here’s an example. If you’re driving on Main Street one day and you see a huge pink elephant running onto the road in front of your car, it’s bound to impress itself upon your memory. That’s because this situation has all the elements I’ve just described. It’s a PINK elephant (not the expected grey or brown); it’s linked to this spot on Main Street (not to a zoo or circus, but rather Main Street — how crazy is that! ); it’s running; and it has most likely surprised or even frightened you. So this is a bad memory game that doesn’t reflect the way humans remember things. It might be fun, but it doesn’t give you a chance to practice tools and systems that really do boost your memory in the real world.